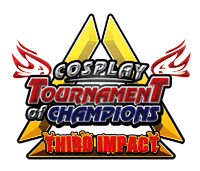 This year’s Tournament of Champions is just around the corner! Cosplay Mania has announced the return of the country’s most awaited major cosplay event and cosplayers all over the Philippines are more than excited to take part in this tournament. The Tournament of Champions, shortened to TorCH, began in 2010 as a national cosplay competition and 2012 marks TorCH’s third year. TorCH, however, is not merely a cosplay competition; the event also brings out the talents of the participants. Official entrants will perform short skits which will then be judged according to performance, craftsmanship and interview. Preliminary competitions are held in selected SM Malls all over the Philippines so there will be TorCH 3’s held from Luzon, Visayas and Mindanao set at different dates. The winners of the respective prelimaries will be joining the TorCH Finals and ultimately the TorCH Grand Finals on September 30, 2012. The winners will then become the official representatives of the Philippines in the Asian Regional Championships in Anime Festival Asia. Note that the venue for Cebu is not yet available. It is, however, scheduled on July 28. Individuals interested in joining the competition should head on down to the official Cosplay Mania website and read up on the necessary requirements as well as the competition rules and regulations.